So about a month ago, in the context of Federation Force, I mentioned that Zero Mission was my recommended place to start on 2d Metroid, and that Zero Mission, Super Metroid, and Fusion created a nice little trilogy together. 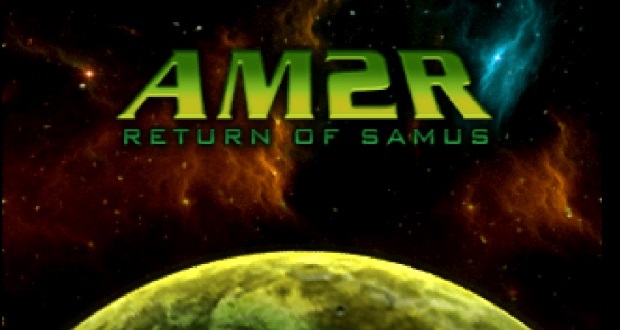 In honor of AM2R’s release, I decided to play through this trilogy, with the addition of AM2R as Metroid 2, and see how it functions as a tetralogy. The result, in my view, is what “The Metroid Series” truly is. Regrettably, I still haven’t played the Metroid Prime games at any real length, and while I know Nintendo presents them as part of a single Metroid timeline, their events are almost entirely divorced from the rest of the series. Phazon, Dark Samus, and the various characters, suits, and worlds of these games have no impact on, or relation to, the core storyline. For the purposes of this blog, I’m looking at the Metroid Prime series as a reboot, or an alternate-universe story that is perfectly respectable on its own terms, but is not part of the mainline continuity. I haven’t played Other M either, but the reputation, and the few pieces of story info I do know, tell me I might as well regard it as fanfiction with nice production values. It wouldn’t be the first time. So imagine, if you will, a universe in which Nintendo only released these four games under the Metroid name. (Yeah, that means AM2R was an official work.) In that world, the Metroid series becomes a cohesive whole, rather than a somewhat fractured collection of adventures. The gameplay stays consistent, bookended by Zero Mission and Fusion sharing an engine. The stories and gameplay designs work together too, letting Zero Mission introduce the concepts that AM2R and Super Metroid build on, and that Fusion plays with and twists. Mechanically, narratively, and thematically, they all fit together and make one of the smartest series in retro gaming. First I’m gonna look at each title individually, with a plot recap and a few thoughts, then finish with some notes about them as a whole. While I know it’s not strictly accurate, I’ll be using both the official titles and “Metroid (number)” monikers interchangeably. After all, Super Metroid and Fusion did call themselves Metroid 3 and Metroid 4 in their intro sequences. So without further ado, what does the tetralogy look like in a vacuum? Strap yourselves in; it’s a bit of a ride. Spoilers are present, which really hits Fusion hardest since it has the strongest emphasis on plot. Very little storyline is explicitly given to the player, and the opening cutscene basically just says “Kill the metroids. Kill Mother Brain.” and sends Samus on her way. I came in with slightly more detailed knowledge of the premise, which I would’ve liked to see made clearer from the beginning of the game. The Space Pirates, led by Mother Brain, are doing some kind of experiments on the metroids in their secret laboratory, Tourian. Metroids are newly discovered and highly dangerous, hence the mission order. The rest of the story is basically “And then she did that” with the added caveat that Zero Mission adds a sort of ‘epilogue chapter’ that the NES version didn’t have. 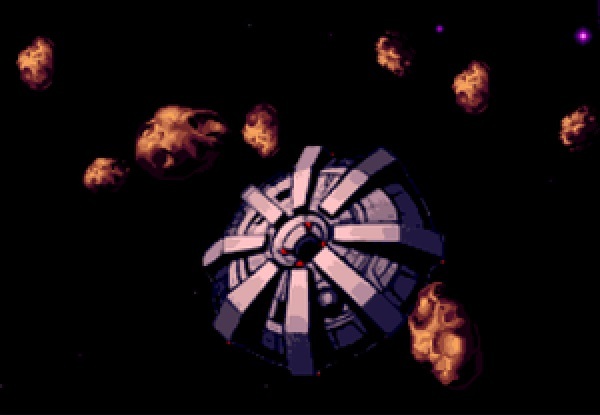 After killing Mother Brain (formerly the final boss) and escaping her self-destructing lab, Samus’s ship is shot down by the Space Pirates, forcing her to explore both the ruins of Chozodia and the pirate mothership without her power suit. (This is the birthplace of the Smash Bros “Zero Suit”) The game then reveals that Samus was raised by the Chozo, just as their ruins grant her a brand-new, “Fully Powered” suit that interfaces with Chozo technology more successfully than her old suit. The final boss is now a partially complete robotic Ridley, fought on the mothership before Samus escapes Zebes. Zero Mission is actually the first Metroid game I ever finished, despite having started all three of the others multiple times before. (I had a GameBoy copy of “Get Lost Simulator 1991” when I was a kid.) I maintain that this is the best starting place for someone new to the series, and a great first chapter to the tetralogy. If you’ve played Super Smash Bros but not Metroid, then you’ve probably osmosed at least a few pieces of Metroid’s canon. Things like Samus, Zebes, Ridley, Screw Attack, Chozo, Varia Suit, and the metroids themselves. All of that’s here, and you get to see it all in action in a fairly short, buttery-smooth romp through Brinstar and Norfair. 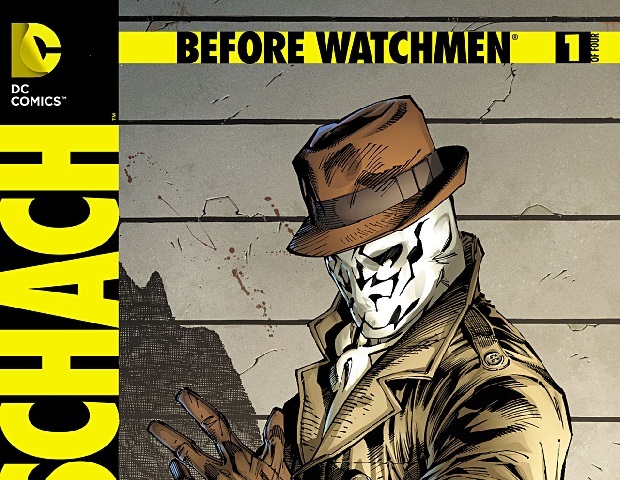 It creates a baseline for what the series is about, and pulls off some really great moments along the way. It also holds the player’s hand a little more than Super Metroid without segmenting the game into linear areas the way Fusion did, which helps maintain accessibility for new players without changing the Metroidvania core. This time through, I was struck by the portrayal of the Chozo. Their ruins and statues set them up as a lost civilization, which is emphasized by things like the background art behind the map when a Chozo statue gives you a vague direction to go in. Winged figures in white robes carved into rock, a piece of religious imagery that implies “ancient” and “intelligent” in equal measure. This is the only game (at least in these four) in which we get a look at Chozo culture, and this sort of religious and/or legendary significance also extends to Samus’s “Fully-Powered” suit. A lot of the post-Mother Brain chapter feels tacked-on (because it kind of is) but the added emphasis on the relationship between Samus and the Chozo is interesting, and tells us that the Chozo didn’t disappear as long ago as one might assume. AM2R’s opening monologue gives out about as much detail as I would’ve liked for Zero Mission. The metroids are dangerous, as we’ve learned on Zebes, and the Galactic Federation wants them gone. So send in the Samus. Before long, she learns of the research team that came here before her, and the rescue team that went after them. As one might expect, the metroid homeworld has been less than welcoming to those folks. Working her way deeper into the caves (volcano?) and exterminating the metroids area-by-area, Samus (and by extension the player) learns more about how metroids grow, and the somewhat frightening knowledge that the fanged jellyfish monsters that drive the plot are mere larva, a precursor to the towering dragons of SR388. Upon killing the Queen Metroid, Samus witnesses one last egg hatch. This tiny newborn metroid does not kill Samus, apparently imprinting on her as its mother. The last little metroid hatchling helps Samus leave SR388 in a uniquely calm denouement for the series. No alarms, no planetary destruction. Just a peaceful exit. AM2R was the whole impetus for trying out the tetralogy in the first place, and it certainly didn’t disappoint. With the most recent release and the most modern engine, this is probably the best of the series in terms of controls and base gameplay. (Analog stick support, lots of options, a dedicated Morph Ball button, etc.) The linear design of SR388’s volcano may be off-putting to some folks, but each section feels nicely distinct and has quality environment and puzzle design. It’s also really interesting to see the various growth stages of the metroids on their home planet, and these minibosses/bosses are a treat to fight. If there’s one feature in Metroid 2 that stands out as most “modern” it’s the logbook. Plenty of games these days include optional “Journal” or “Encyclopedia” menus that include extra text and explanations of things that appear in the main game. Personally, I tend to think of Far Cry 3, which often included darkly comedic asides, but the writing in Metroid 2 doesn’t add a whole lot. It mimics the technical style of the Metroid Prime scan visor, but occasionally feels a little forced. It’s not awful or anything, just sort of… there. The last metroid is in captivity. The galaxy is at peace. Then Wham! Ridley’s back and he’s stealing the hatchling, and it’s off to Zebes for another go-round. The metroid experiments the Space Pirates were doing in Tourian just got a second chance, because they just got a new subject. And this wasn’t luck or happenstance; they planned for this, having built a new Tourian since Samus’s last visit and reinforced their defenses with new generals and allies. Much like Zero Mission, Super Metroid mostly consists of the journey through and around Zebes, with more areas, bosses, and secrets. Then, of course, there’s the famous ending, in which the last metroid sacrifices itself to save Samus from Mother Brain. 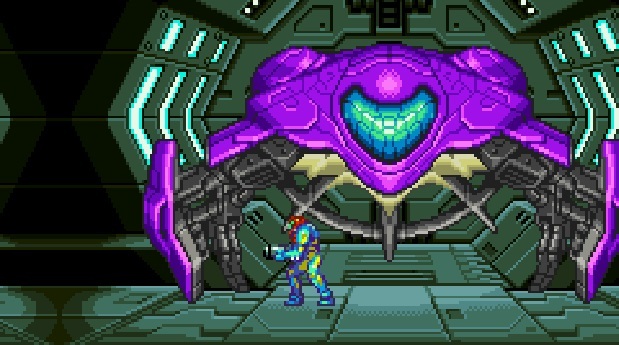 It’s an incredibly well-executed scene, and even though it was spoiled for me years before I ever finished Metroid 3, it still floored me when I first saw it for myself. Super Metroid is genius, and you’re probably sick of hearing that by now. But usually we’re talking about it as a single game, rather than as Metroid 3. And as Metroid 3, it becomes something a little bit different, and a little bit better. After Metroid 2, which changed planets, game structures, and even the biology of the metroids, Metroid 3 acts as a return to form. If Metroid 2 is the Return of Samus, Metroid 3 is the return of everybody else. The opening tour of Metroid 1’s Tourian and Brinstar confirms that yes, this is the same planet, but things aren’t the way you left them. Sure, Tourian’s still charred and empty, but the Space Pirates are still around, and they haven’t been idle. Super Metroid also has a decidedly different tone than Zero Mission. Zero Mission is a space adventure on an alien world, and seems almost gleeful about it. It’s colorful, it’s fast-paced, it’s exciting. Super Metroid adopts a few horror sensibilities instead. Just compare the introductions: Zero Mission has an all-caps mission order and rapid-fire shots of Samus’s ship, set to intense crisis music. 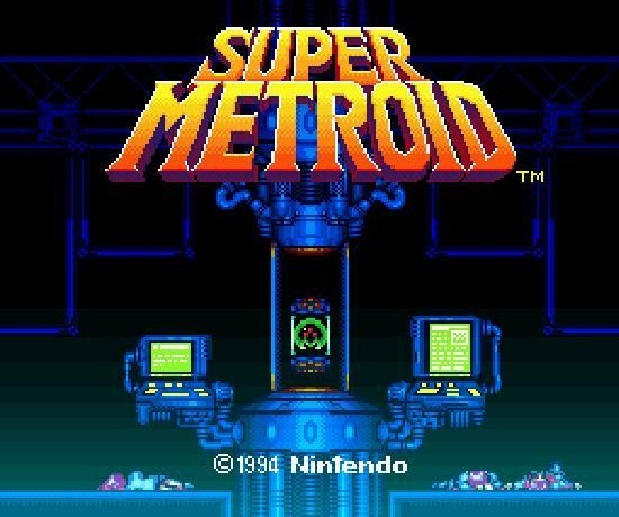 Super Metroid lets the camera pan over a dark laboratory full of dead technicians, set to eerie, minimalist tones that are punctuated only by the small chirps of the last metroid. It’s the same planet with the same items and the same bosses, but this is a very different beast. The last mission of the series is also the most plot-heavy. Some amount of time after Metroid 3, Samus is doing fairly routine business with the Federation, assisting Biologic Space Labs (BSL) as they study the SR388 ecosystem, apparently having learned nothing from the research team seen in AM2R. This is where Samus, and indeed the Federation, first meets a parasitic life form only known as the X. This infestation very nearly kills Samus, who is saved only by an experimental “vaccine” made from a tissue sample of the last metroid. Ceres Station lasted long enough for that, at least. 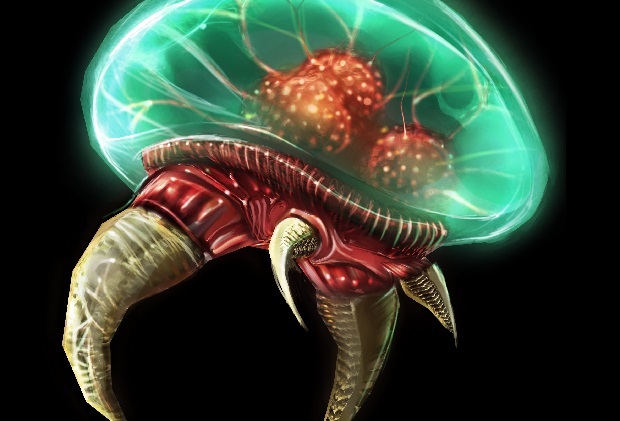 This treatment modifies Samus’s DNA, fusing it with metroid DNA because metroids are immune to the X parasites, and indeed are their primary predator. Without the metroids on SR388, the X populations are skyrocketing. Samus must then investigate an X infestation on the nearby BSL base, guided by a computerized CO. As she explores the base, she is stalked by the X parasites, which can shapeshift and mimic the forms of the creatures they infect, including Samus herself. In the process she learns that her employers are not studying SR388 by coincidence. The Federation is secretly conducting a metroid breeding project, effectively giving themselves a monopoly on metroids. When Samus discovers this, the Federation turns on her, hoping to gain a monopoly on the X as well, and refusing to help Samus eradicate them. Samus, however, recognizes the threat posed by the X (as well as the resurrected metroid species) and triggers the station’s self-destruct system while also directing it toward the planet’s surface. Only the destruction of SR388 itself can quash the X parasites. Samus escapes, now an outlaw to the Federation, and muses on the nature of the human soul: Always seeking truth. If Metroid 3 introduced a little horror, Metroid 4 took it all the way. You’re trapped inside a small research satellite with a doppelganger of yourself who stole your weaponry and could kill you near-effortlessly, a sort of body-stealing Nemesis figure. The cramped corridors of the BSL base also change a lot more than Zebes, allowing for stronger environmental storytelling and the manipulation of entrances/exits. Fusion also carries the strongest themes of the four. While Metroid 2 experimented with the idea of manipulating nature, Metroid 4 puts it front and center. 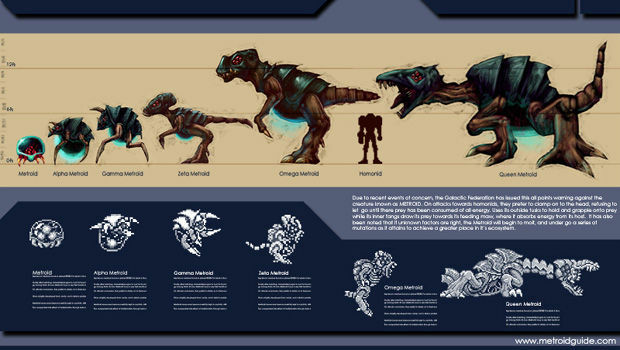 Where Metroids 1, 2 and 3 had multiple distinct, overlapping influences on the environment (discussed more below), Metroid 4 emphasizes the conflict through its theme of fusion, blurring the lines between human and inhuman, natural and artificial, computerized and organic. This theme is the driving design philosophy for everything in the game. 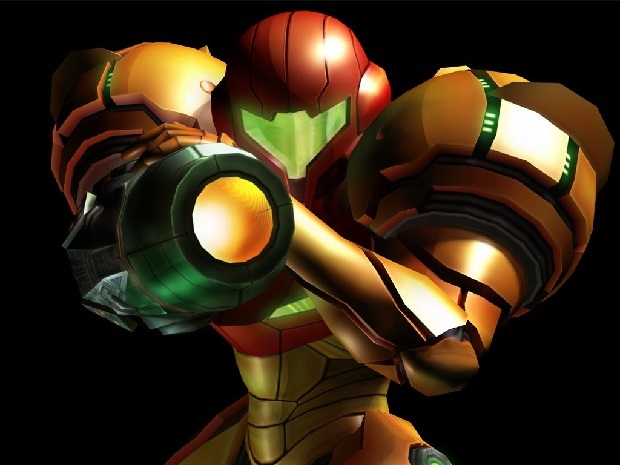 Samus’s technological wonder of a power suit takes on new biological functions. The BSL base is an artificial facsimile of nature populated by actual alien life. Bosses include a “Bio-Mechanical” military project and a security robot whose organic components were compromised by the X. 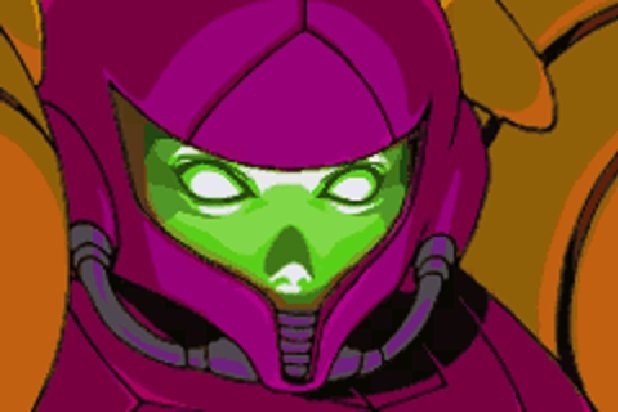 Even Samus’s AI commander is revealed to be a digitized version of her former (human) CO.
Much as Metroids 1 and 3 are sister games, taking place in the catacombs of Zebes with Ridley/Kraid/Mother Brain, Metroids 2 and 4 are sister games, consisting of linear, area-based maps with a single species as the primary and omnipresent enemy. What’s more, the threat of the X parasites is triggered directly by the mission objective in Metroid 2. 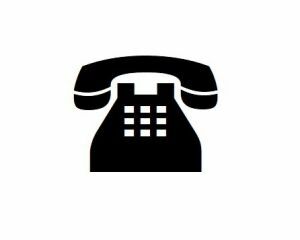 By playing the tetralogy in order, each game helps to inform the next. Learning about the metroids’ home and biology is a more powerful experience when we’ve already fought them on Zebes. Walking through the wreckage of Tourian and revisiting the Morph Ball’s old home in Brinstar are instant reminders of our first mission, but only if we’ve actually gone on that mission. The loss of the last metroid carries extra weight after we’ve made ourselves responsible for it being the last. The repercussions on the food chain hit harder too. The whole is greater than the sum of its parts, because each part is made stronger by the others. Metroid 1’s Mother Brain wasn’t really a fight against a boss, at least not in the way we usually think of one. It was a fight against the room. The brain sat in the jar, defended by the automated turrets surrounding her. This makes a nice metaphor for Samus’s environment being her true enemy anywhere she goes, and in a way, this is matched in Metroid 2. Several metroids are at the same level of growth/maturity, but the rooms they’re in are more or less devious in layout/hazards, which helps create a difficulty curve as well as echoing the idea that the room is as much your enemy as the creature inside it. Metroid 3 toys with this relationship by adding friendly instructional creatures and conveniently placed room elements like the electrified wall in Draygon’s fight. Sometimes the environment is not your enemy, but your ally. Likewise, the titular Metroids are almost universally hostile, and the single most plot-relevant threat to Samus, until one becomes her greatest ally. Metroid 4 takes a wholly different approach to what “environment” means, and actually takes a sort of ecological angle. The environment (or rather the ecosystem) is the direct source of the X parasites, defining it as ‘hostile’ to Samus in an almost punitive way. 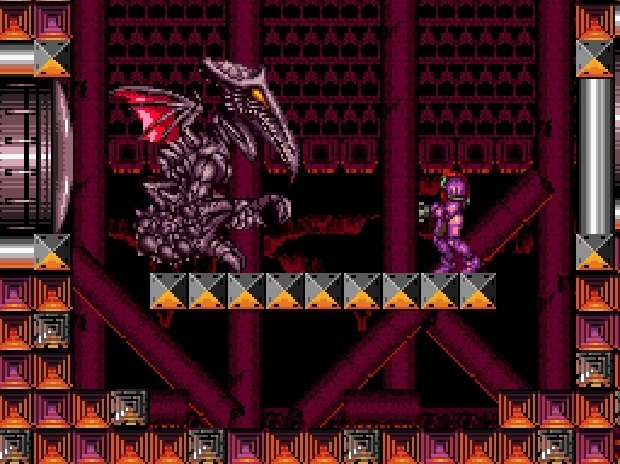 The official Metroid canon makes Ridley just plain absurd. He just keeps showing up, like a stereotypical comic book villain, no matter what he’s been through. This, alone, is a decent reason to consider the Prime series an alternate continuity – Ridley becoming Meta-Ridley, and later Omega Ridley, is an interesting way to play with an existing character, but those things need a certain degree of permanence. Accepting the Prime series as canon stories between Metroids 1 and 2 means Ridley is almost killed, reduced to relying on cybernetic body parts, then later mutated by Phazon, then somehow reverts to his original self just in time for Super Metroid. A lot of things are left unexplained in Metroid games, but that’s going a little far. Within the Tetralogy, Ridley is still a heavily recurring boss, being fought more than twice as many times as Mother Brain (All versions of Ridley have 5 combined battles to Mother Brain’s 2) and yet his return appearances here fail to violate logic. If Kraid and Mother Brain survived Zero Mission, why couldn’t he? 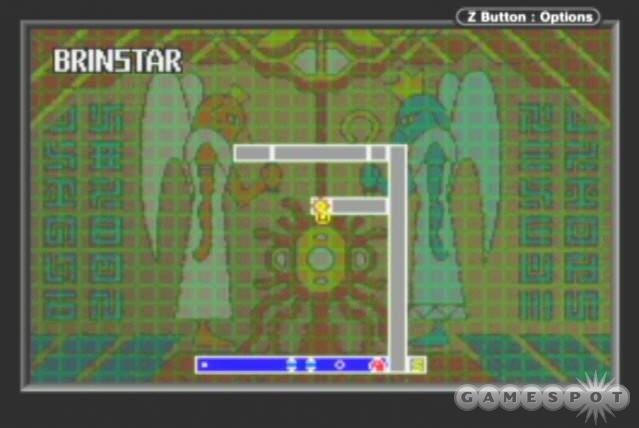 This means that in Zero Mission, all three of the bosses are not killed, but rather beaten within inches of their lives. All of these games rely on various kinds of tension, and most of them come from the games trying, and generally succeeding, to do two things at once. First and foremost, the games present a fictional world that is at odds with the playable path through the game. “Doors that you open by shooting them” and “walls that you break by shooting them” aren’t functionally different. But they are visually, and even narratively, different. This tension between “What an area/element represents to the game design” and “What an area/element represents to the fiction” is one of the most defining parts of the Metroid series, if not Metroidvania games in general. But it doesn’t end there. The Chozo are obviously a huge influence on the planet Zebes. Their statues and ruins provide much of Zero Mission and Super Metroid content, but at the same time, some parts of the world are shaped more clearly by the Space Pirates and others are shaped by purely wild/natural forces. So while there’s a tension between the fictional and functional aspects of each area, there is also a tension among the fictional aspects themselves. This is made most clear in Zero Mission’s Chozodia, where the Space Pirate Mothership has landed among the Chozo ruins, juxtaposing metallic spaceship tech against stone carvings and statues. This kind of tension is also present on AM2R’s SR388, where the natural environment and artificial technology almost compete to support the growth of the metroids, as well as on Fusion’s BSL satellite, where the natural environment and artificial technology are essentially one and the same. In this way, Fusion builds its themes off of the elements already present in its predecessors, and applies them in as many new ways as possible. If you’ve never played a Metroid game before, make Zero Mission the first. If you like it, keep going. If you don’t like it, you just don’t like Metroid, and you can skip the others more or less guilt-free. As for those of you that have played a couple Metroids, or even all of them, I’d say it’s worth your time to play these four in order. I finished all of them in about a week, which is less time than I’ve spent on a lot of single releases, and I got to see the series defined, twisted, perfected, and twisted again. Take this journey for yourself, and explore the planets of Zebes and SR388. Destroy both. Ask yourself why. While you’re at it, ask why the Chozo are gone. Ask how Ridley came back. Ask why Samus’s ship looks like her face. Ask what happens next, when Samus no longer has allies in the Federation.